Easter is just around the corner, which (let’s be real) really means we get a glorious four days off work. It’s a lush life we live! But heck, four WHOLE days is actually a pretty long time. So many people choose to go away at this time of year, but here at The Urban List, we kinda think…why would you do that, when we live in paradise? Don’t have much planned jut yet? Never fear - we’re about to fill your calendar right up! Here are 11 super-fun things to do this Easter long weekend on the Sunshine Coast. The Twilight Markets are back for another year…yay! Pop down to Bulcock Beach on Good Friday between 5pm and 9pm to browse the 100+ stalls lining the Esplanade. Chock-full with local artisans, handmade crafts and some of the Coast’s best food, it’s safe to say you can start kissing your money goodbye now. At least your afternoon swim will be free! Did someone say movie night? Our friends at Starry Nights Outdoor Movies are showing not just one, but TWO movie screenings over the long weekend for your lazing-about, popcorn-crunching, candy-munching pleasure. With The Lion King showing on Friday night at Peregian Beach Park (just in front of the surf club, y’all) and Trolls showing in Coolum’s Tickle Park, a movie sesh with Starry Nights makes for a great chill night with the squad or a solid couple of hours of easy entertainment for the kids. Plus, who doesn’t love a good ol’ Disney flick? Come one, come all to Ocean Street World Festival! This festival has been happening for the last seven years now, and we gotta say, we love it more and more each year! It’s now Australia’s largest free cultural festival, which is pretty awesome, if you ask us. Showcasing culture, food and music from all corners of the earth, highlights include: Tijuana Cartel performing, street artist Thomas Jackson transforming a boring wall into an incredible mural, and sippin’ on cocktails at the laneway Oasis bar. Most places on Ocean are opening earlier just for the festival, so you can pop in and watch the madness go by from the comfort of your fave café or bar. Sad news friends, The Basement is about to close its doors! 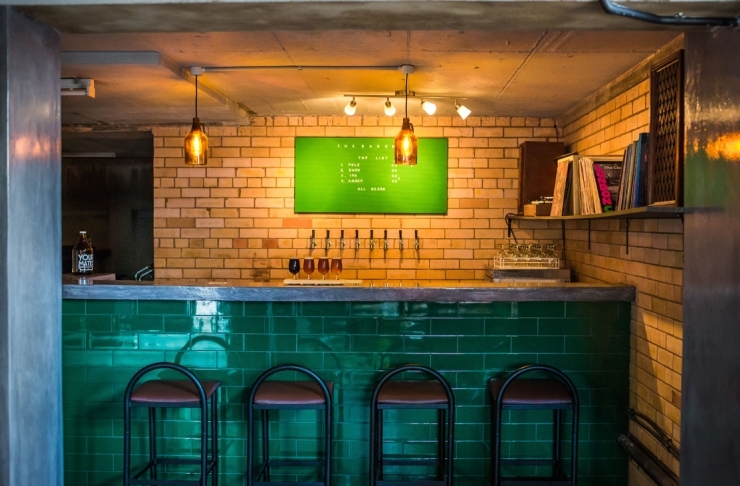 But don’t fret, our mates at Your Mates aren’t going anywhere, and they certainly aren’t about to close The Basement without giving it a proper send-off. Featuring live music from The Unknowns and Suga Owens, the last hurrah starts at 6:30pm, so you can head there right after you’ve polished off all your Easter choccie and family lunch has wrapped up. Our tip: have a cheeky afternoon nap prior to going – ‘cause what’s a long weekend without at least one little arvo kip? Four days is ample time to check out one, or maybe even two of our fave camping spots on and around the Sunshine Coast – depending where you go, of course! Use this extra-long weekend to truly relax and get in touch with nature. Phones are great and all, but when it comes to turning that out-of-office message on and going off the grid for a bit, where do we sign up? Pack your swag and your camping stove and away you go! Don’t wanna go away for the whole weekend but still want to explore somewhere different? May we present six stunning day trip options for all to enjoy on and around the Sunshine Coast! A day trip is perfect for escaping your normal routine and feeling like you’ve had a wee break, when really, you’ve only been gone eight hours! You could spend the day relaxing at Cylinder Beach on Straddie, go village hopping through our very own hinterland, or hike all the way through Lamington National Park and then reward yourself with a delish lunch at O’Reilly’s…whatever tickles your fancy! Plant-based foodies – looking for somewhere to indulge over the long weekend? You’ve come to the right place! The Sunshine Coast Vegan Market is here to shake up the way you celebrate Easter this year. There’ll be a mouth-watering array of plant-based food and drinks on offer - so mouth-watering, in fact, even the most carnivorous of carnivores will be stuffing their faces full of treats! Celebrate the Easter long weekend at Pier 33! Open from Thursday evening all the way through to Easter Sunday, the fab folk at Pier 33 are putting on a whole heap of festivities for us Sunny Coasters to enjoy. From zesty new dishes on the menu, live entertainment each day from 2pm, and their first annual Easter Egg Hunt on Easter Sunday for the kiddos. C’mon, who doesn’t love an Easter egg hunt? We are SO excited, you guys - Holey Moley is opening here on the Coast this Thursday and it is THE place to be this long weekend! 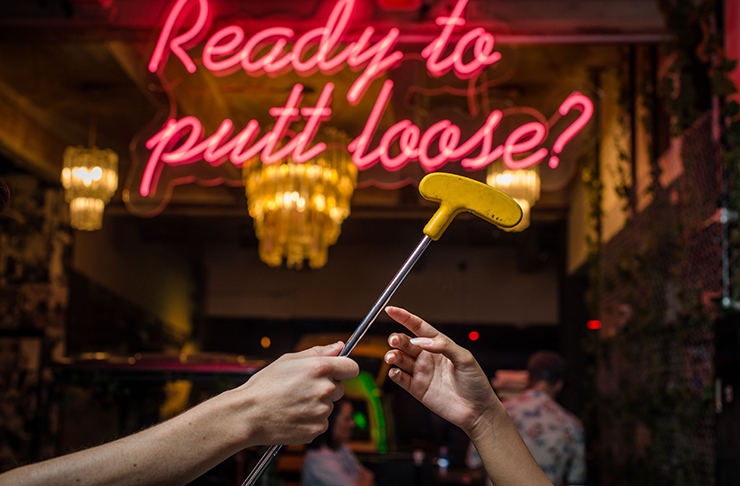 Partnering with Strike Bowling to create the ultimate kidult fun zone, think a craaaazy 18-hole putt putt course, a new and improved bowling lane, a cocktail bar serving drinks designed to take you back down memory lane (think Wizz Fizz cocktails…uhmm, yas please) and an epic escape room. You can read more about it here. Four days is the perfect amount of time for a technology detox, and there’s no better “distraction” to keep you from looking at your screen than an adventure. To help you on your way, we’ve rounded up five of the best back-to-nature adventures you can do on the Sunshine Coast. Get ready to sweat, make a bazillion memories, and gain a new appreciation for this beautiful place we call home. So now you know what's happening on the Sunshine Coast over the Easter long weekend, what about what's open? We've got you covered here with our list of What’s Open On The Sunshine Coast This Easter Long Weekend. What about some epic Easter food? 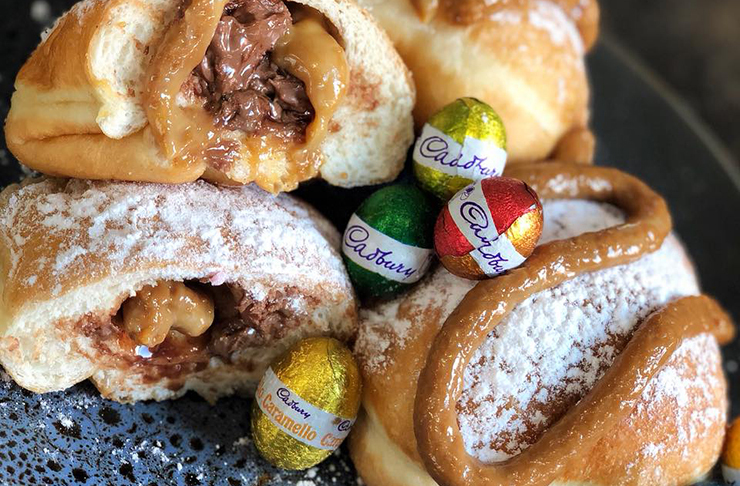 We've got you covered here with our 6 Epic Easter Eats You Need To Try (Before They Disappear!). Image Credit: Hayley Williamson for The Urban List and Holey Moley.